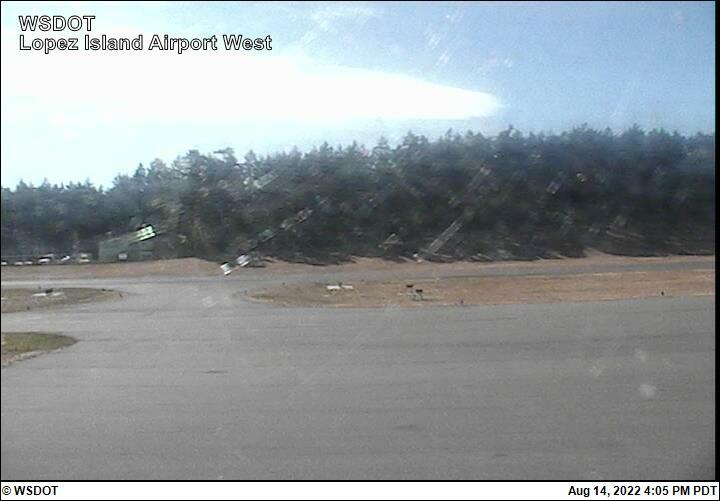 Note: There are three views from the Lopez Island Airport web camera showing the airport from three directions. 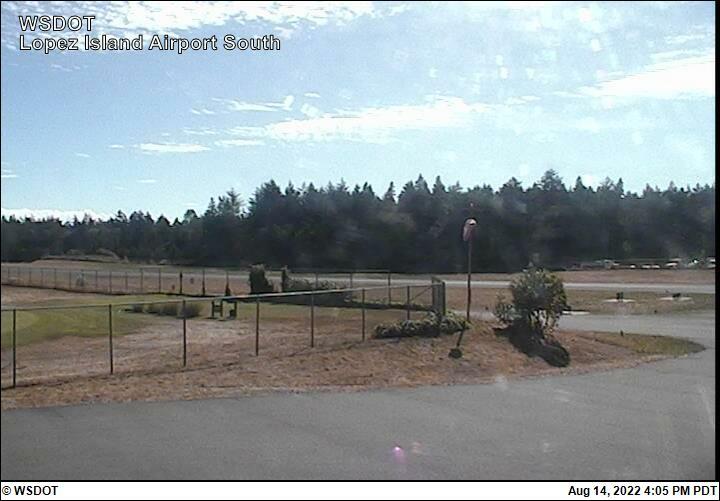 These camera images are provided courtesy of the Port of Lopez – Lopez Island Airport. The camera is mounted on top of the airport office / passenger waiting area located on the east side of airfield. The camera provides three views — West, South towards the golf course and North towards the tie down area. The images displayed should indicate the direction "West, South and North" along with a time/date stamp. The camera operates 24 hours a day with the images updating every 15 minutes. To report a problem with the camera contact: Helen Cosgrove, 360-468-4116 or email helenc@portoflopez.com. All information subject to use disclaimer. 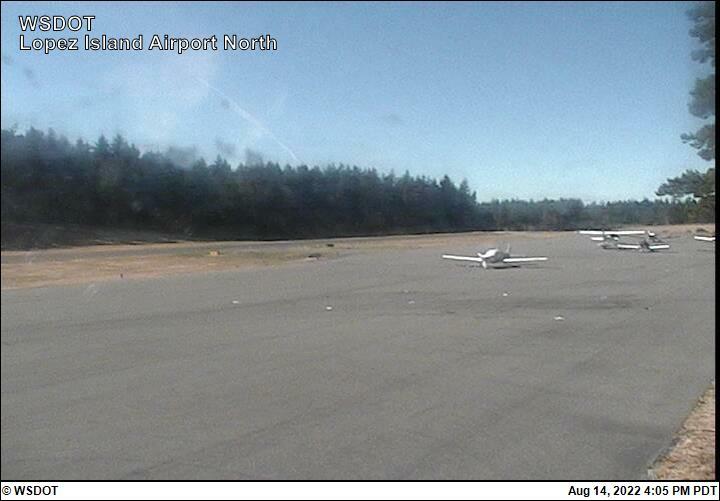 The web cam images are being provided as a service for pilots to view current airport conditions. They should not take the place of a pilot's responsibility for obtaining a full, pre-flight weather briefing prior to flight from their local FAA Flight Service Station.